There are a few different options for internet-connected door locks, like the Nest x Yale and Schlage Sense. 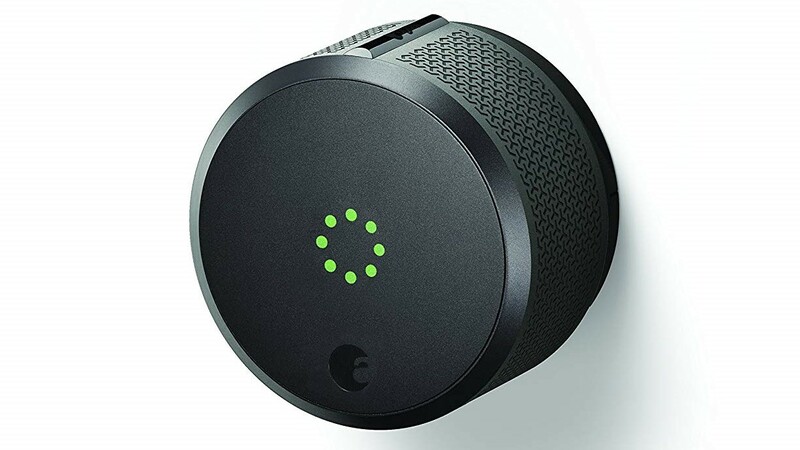 The August Smart Lock is one of the most well-known products in this category, with support for Google Assistant, Alexa, IFTTT, and other services. For today only, you can get the third-generation model from Amazon for $157.50, a discount of $72.49 from the original price. The August Smart Lock Pro can unlock automatically when you arrive and lock again when you leave, by detecting when your phone is nearby. It can also be controlled manually using the smartphone app, or using a plethora of other services — including Google Assistant, Alexa, Apple HomeKit, iFTTT, Nest, and SmartThings. Keep in mind that the Smart Lock Pro requires a hub for connecting to the internet. You can buy the lock bundled with the official bridge for $164.50, or you can connect the lock to any Z-Wave hub (like Samsung SmartThings).